In January, I made a list of "must reads" for 2018 along with Carrie Gelson of There's a Book for That and a community of other bloggers. 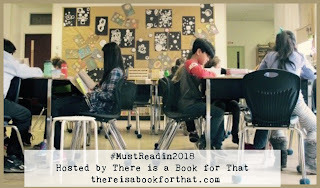 Now that we are a few months into the year, the #MustReadin2018 community is sharing the progress they have made on their reading lists. I am sharing my progress along with them. Check Carrie Gelson's blog or the Twitter hashtag to read about others' reading and get ideas to add to your own to-be-read list. 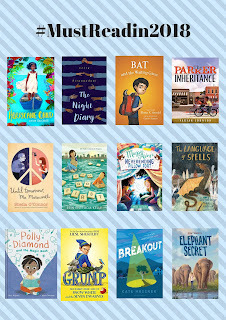 The twelve middle grade titles on my list this year are all 2018 releases. So far I have read nine of them. Hurricane Child by Kheryn Callender is a beautifully written book about a young girl in the U.S. Virgin Islands dealing with struggles with friends and family. The Night Diary by Veera Hiranandani, The Parker Inheritance by Varian Johnson, and Until Tomorrow, Mr. Marsworth by Sheila O'Connor are all historical fiction books with important and relevant themes. Bat and the Waiting Game by Elana Arnold is as wonderful as the first book in the series. Maggie & Abby's Neverending Pillow Fort by Will Taylor is magical and clever. If I was a kid, I think I would build a pillow fort immediately after reading this one. Polly Diamond and the Magic Book by Alice Kuipers is an fun and imaginative story for early chapter book readers. Breakout by Kate Messner, written completely in letters, text messages, poems, and other short forms of writing, is a compelling read that addresses prejudice and racism. You Go First is anther fantastic book by Newberry Award Winner Erin Entrada Kelly. 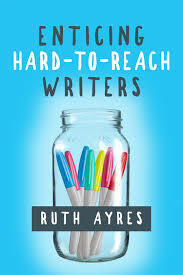 It's a book about the challenges of friendship in middle school that many readers will be able to relate to. I enjoyed all of these reads for various reasons. Oh my, I want to read every one of the books you've shared, Lisa. The only one that's new to me is Until Tomorrow, Mr. Marsworth. I'll look for it! Congrats on finishing so many of your list! 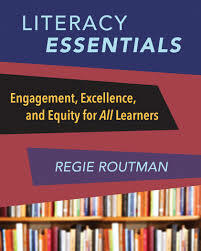 Ahhhh, I didn't know Varian Johnson had a new book out. This is very exciting! Congrats on your progress! I want to read Breakout! You have made such great progress with your list! Some of these are completely new to me. 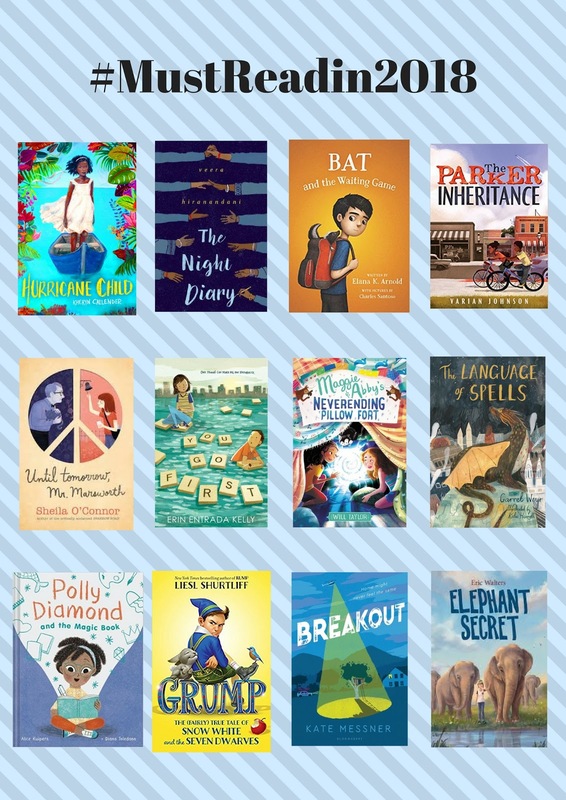 I really want to read Breakout by Kate Messner and You Go First by Erin Entrada Kelly. 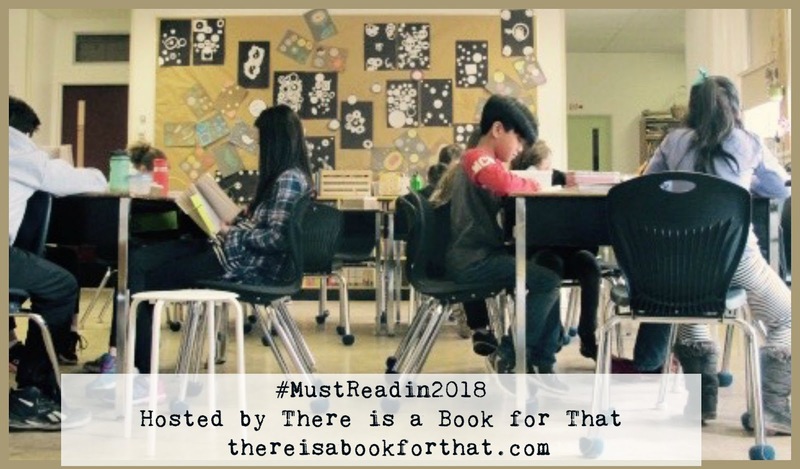 So jealous that you have already read 9 of your #mustreadin2018. 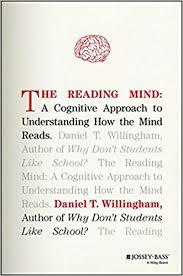 I am anxiously awaiting the summer for more time to read. Looking forward to reading Breakout and plan to read The Parker Inheritance for the Middle Grade @ Heart book club. Nice work on your list. I am also one of those people who really wants to read Breakout. One of the reasons I joined NetGalley was to get it early, but I got rejected! I think because I am Canadian. The Parker Inheritance is getting a lot of love from people, and might be a distraction from my list if I ever get a copy.